Andrea wrote a excellent post on Five for the Future. There’s stated that is would be nice that 5% of your time goes to WordPress contribution. The proposed outcome is a pledge; and mostly from own employees. But it even stated -reading between the lines- that companies can sponsor non-employees (freelance volunteers) too. But there’s no written idea how to connect both parties. The proposal just mentioned that freelancers can ‘ask’ companies to sponsor them. I would like to see this way better then ‘just asking’. So, here’s my personal idea on that. 5FTF is an amazing concept and is fine scalable for big companies. For every 20 employees, that’s 1 contributor. On the level of a freelancer or one-person company: that’s 2 hours per week. But things moving so fast in the last years that it’s hard to cope up with all the news. Since some freelancers have a real passion for it, they harm themselves because two hours is way to less for them. For them 2 hours/week is a joke. Imagine: what can you seriously do well in 2 hours per week? Including project management, meaning following feedback and input. There’s one important sad aspect we need to tackle strongly: we need to end those stories: ‘OMG, i lost 30% income this year because of contribution. I got myself caught in the flow’. These things happen, really. We need to support those people. Five for the future is absolutely not working for these passionate freelance volunteers. I love it that companies donate their employees to work half/full time to WordPress. We’ve seen a rise of those kind of volunteers in the last years, let’s call them ‘company contributors’. And sure, more help from that corner is absolutely welcome. But there’s also a shadow over this kind of company contribution which fade out the lights of freelance contributors. Company contributors controls the tempo, WordCamps trips paid by company and ‘company contributors’ are mostly always there when decisions are made. In an unsubconciscous way this raises the workload for the freelance volunteers. Just an example: everyone can agree that it was almost a half time job just to follow up Core Slack in the Gutenberg times. In the result of all that, some freelance contributors nowadays are feeling under rewarded, frustrated, unwanted, unappreciated and outvoted in the decision phases. The State of the Word mentioned with delight that WordPress is a “10 billion business”. Personally, i don’t mind that anyone does great business with WordPress. Absolutely not. And i’m not naive saying most of us just want to make a good living too. But there’s this overall feeling that wealth is not spread equally and this causes unappreciation. I think it’s time to open a discussion and brake down the taboo of paying freelance WordPress contributors. I’m not saying we’ll open up the gates for everyone to get paid. If you’re deep into the WordPress Community you’ll know exactly the type of volunteers we mean. The importance of the Freelance Contributor. Whatever companies do that are contributing to WordPress, there’s always that perceptual shadow of contributing for their own interest and agenda. Would it be otherwise when there are more freelance contributors in the public picture? Does that brings in more neutrality in the general mindset of the community? Besides the perception factor, a lot of company contributors are mostly dedicated to a few teams like Core, Community and Documentation. But WordPress is more, right. The voice of a freelance volunteer is also honest and neutral, not attached by any company standpoints. All of this brings in the importance of the ‘Freelance Contributor’. Bring back the sense of ‘power to the community’. Yes, i call it ‘the sense’, cause i’m not not naive. But i hope we can stick that foot back in the door and support these people. I understand that the Foundation can’t budget for this. And that it’s important to stay neutral. But i’m hoping that there’s a place on wordpress.org for some kind of job board. 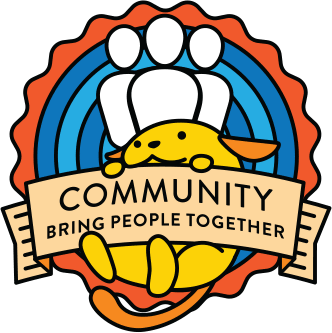 The Wapuu Contributor Program allows companies to pay a WordPress contributor that is not employed by them or another WordPress-related company. It’s just an idea to use the name Wapuu; the mascotte of WordPress. Cause there’s no better mascotte then a contributor. Now, a Wapuu is just a sticker. Why not use it for better? In Marketing terms: participating companies can use this naming to promote their paid contributors; saying: we have 3 Wapuu’s; meaning we pay 3 people to contribute to WordPress via the program. We can create a recognizeable badge for this to use on companies websites. So far, the marketing suggestions. What about the practical suggestions? If we do this program, we must raise the bar high enough. This is not an open job board for everyone: a high minimum experience and contribution time is wanted. Under conditional terms, we can add extra fields to a WordPress user profile where they can fill in the information: task description, contribution categorie (team) and duration. That’s all, practical (money) stuff is handled between both parties. For example: a German host can sponsor a German volunteer who is doing 8h per week fixing support tickets. Which means, the German host can forward their clients to the WordPress forum. Same can go for documentation. The questions is also: are companies willing to participate in this program? Maybe we can launch a quaestionaire first? What about volunteers still working for free? I’m pretty sure that both types of volunteers (being paid + free) can work together. Heck, i would be super proud on someone independant being rewarded for all the hard and passionate work. Cause there’s a big difference between the two: free is begin totally free, a paid volunteer has obligations. Some people will be against this idea by mentioning this is way to commercial for them. I agree. But what is commercialization? In the end, we need to make sure everyone is doing fine AND the work is being done right, (faster) and good. Of course it can be done for free; but someone is paying the price anyway. Some people will be against this idea by mentioning that volunteers are free to chose, free to plan and to do what they want. That’s absolutely true. I agree. But some volunteers are so passionate – even more passionate then some company contributors- that they will take their obligations anyway, and so seriously that they lose income. They lose their quality of life on our backs. We must support that fire, support that independance. And in fact: for most people this even has nothing to do with money. It’s about getting the opportunity to be able to work on something they want to improve, no matter what. Even if this means losing themself doing it for free. That kind of destructive behaviour needs to be stopped, right now in 2019. Reads. Drinks coffee. Raises hand. But please, not in the community support forums. Not in any sort of official WordPress.ORG manner. If a company wishes to pay someone to support their users in the forums, that happens and that’s cool. But more often than not, it happens poorly and introduces a lot of issues. No one is paid to support anyone in the forums. It’s not anyone’s job to do that exactly and no one should treat support there as a job. It’s not. I’ll start with the best case good example I can think of: the Yoast team. They support the users of their free opensource plugin in the WordPress.org forums. They clearly delineate that these are users in those forums, they are not customers and those topics are not “tickets”. I wish all plugins and theme support did that as clearly as they do. When someone has a premium question or they are a paying customer then they direct them to their site. If a moderator sees that topic, it gets closes. The community support forums are not for customers. The Yoast team uses forum accounts with REAL PEOPLE. They do not use a “company account” as replying with a company account isn’t for those forums. Not everyone is that enlightened. The community support forums isn’t for anyone’s brand or marketing. That does happen naturally without anyone forcing it or getting paid to be there. People try to create and use “company” accounts and when found they’re politely asked to refrain. Posting using multiple accounts, except in a very narrow scope is sock puppeting and that’s not allowed. More often than not it’s to generate revenue. I do want people to provide support, I do want freelancers to continue to do that and be recognized for that. But please do not monetize it in WordPress.org. Leave it as a choice for other people and companies to do outside of any sort of official WordPress.org scope. I think this would cause people and companies to try and gamefy this place and that’s not good. First, there’s more than support forums to attract contributors. But i did not suggested a ‘company profile’ account. And i did not suggest ed -ever- a promotion on wp.org of those or any company. Also i did not suggested that a Freelance Contributor has to ‘brand’ a company via their user profile. So, I agree about your point of commercialization. It’s up to the company to ‘promote’ their contributions on their website, but absolutely not on wp.org. We’re also talking about experienced contributors for this program. And the hard-core Freelance Contributors that i personally know have enough neutrallity and common sense to make this program work. Which … no, no it’s not. It’s actually a side of the same coin of “My company pays me to contribute to WP.” Which I speak from personal experience. I am paid, and I have enormous advantages to people like WebDevLaw, who damn well should be funded. I understand you weren’t suggesting that at all, I suspect Jan felt it’s wise to make the distinction 😄 I think this is a brilliant idea. I like the concept here very much. My concerns are in the realm of abusive relationships and conflicts of interests. To put it simply, I am funded by my employer, a web host, to volunteer. My primary role is in plugin reviews. What happens if the web host submits a plugin and violates the guidlines? To whom is my greater obligation? In the real world case for me, I sent out the regular warning as my plugin rep persona, then I walked over to the bloke’s desk and had a word. But is that an unfair advantage? Is it an abuse of power? It’s a difficult, and at times untenable, situation to place volunteers in. To whom are they beholden? I’d love to think more people are reasonable about those things, but reality tells me they’re not. We’d have to have some kind of anonymity involved. People can only fund the whole, never individuals. Furthermore we need an enforceable penalty for abuse. Like… The volunteers and the funders would be prohibited from using that relationship to their personal advantage, on pain of expulsion. It’s harsh, but otherwise we absolutely will end up with the Uber of Volunteers: People who aren’t employees of a company being tasked to and expected to fill the role, receiving a pittance, and having none of the employee benefits (health care, vacation etc etc). Hi Mika, very good point: funding the whole, not their individual theme or plugin! Agree too about the Uber-remark. This can maybe be solved by setting a max. of hours, then again it’s hard to control that but it’s absolutely not the intention to have a full-time job with this. I think for sure some tasks are also not suiteable for this program, just one example: a WordCamp/Meetup Organizer. And maybe support is also not suitable if there’s no general consensus around that; and my support-example in the post was a bad one. Why would WordCamp and Meetup organisers fall outside of this? If it’s as Mika suggested ‘People can only fund the whole, never individuals’, then surely we should value all contributions equally regardless of the area they volunteer in? And if funding is there, why not have fulltime jobs from it if people so desire, why would that be such a bad thing? I suppose my other thought is more about who decides what gets paid? How do you handle laws where say this is set up in the EU, anyone doing regular work based in the EU by law should be classed as an employee with certain benefits like pension schemes and taxes handled by the employer. Uber lost their appeal against driver’s work status here in the UK, their drivers have to be classed as employees with paid holiday time, rest breaks, national minimum wage, pension, etc. So how would this be handled? Hi Timothy, my contribution to WordPress is mostly as being a WordCamp and Meetup organizer. The edition of this year took me way over 150 hours. That’s a lot of free hours. So, why do i suggest to keep this task out? This is a public task, visibility to the outside of our community. Do i get a lot of work to cover my contribution time? Absolutely not. To be honest: 2 projects in 4 years organizing +60 meetups and 2 WordCamps. And to be 100% clear: it’s absolutely not my intention to get client work from my contributions. And here’s another mindset problem: From the view point of some ‘Company Contributors’; some really believe so. That contribution can be a way to get more work or to be hired by a well known WordPress player. (said by a well known “Community Manager”) And that is also a giant mindset issue. Maybe a small fraction of the Freelance Contributions have those intentions in the hope being hired, but then again: it’s like a “lotto ticket”. In the last years there are new-hired company contributors that never contributed for free before, they went straight in their paid job. So, i can imagine where this mindset is coming from. But i would like to see more empathy out of that corner towards the freelance contributor. We’re are not here for our own business, but for the business of WordPress. But as the WordPress Community matures and grows (takes more time to follow), we need to make sure that experienced and passionate freelance contributors get rewarded and not end up in total frustration. And i do hope that the company contributors will join this discussion too. So, to come back on the public aspect of a WordCamp/Meetup organizer. “If” (extra highlighted: if) we have to make a selection of tasks, i’d would prefer the contributor tasks that hardly have any presentation to the outsides of our community. And compared to a WC/ME organizer, there are a lot. So i hope you get my point. Bu as i’ve said above: i like the idea and suggestions of Mika too. And absolutely: the point of equally regardless of the area they volunteer in. Interesting concept. It would make a huge difference in my family for sure, were this possible. We added up the number of hours a family member spent contributing this week and the number was staggering, jaw dropping to the floor…like full-time job staggering. Particularly for contributors who work as freelancers or in small collectives, this could be . When your design shop is you and your sibling, a program like this makes a real difference. It means the quite literal difference of food/rent/basics without stress. One additional area that might have to be negotiated in all of this are conflict of interest situations. When you’re a volunteer, it’s easier to have clear judgement and unbiased opinion. When a company is paying you to contribute, it gets murkier. What happens when what’s best for the project and what’s best for that plug-in, theme, host…are at counter purposes? This is not an insurmountable issue, but something to think about. Just a point of understanding: If a person is paid, the person it not a volunteer anymore. And I have seen freelancers being sponsored by other WordPress companies. A different scenario: A freelancer posts a project specification, they want to work on for a team (documentation for x section, 100 posts on the support forums, fix the gallery block for Gutenberg) and WordPress users/consultants/companies who want to sponsor can pledge their part of the funding of the project. Doesn’t have to be a single company sponsoring a contributor. I don’t think that’s a job for the foundation and WordPress.org is not the space for it, though. I like this very much. It needs a lot of work organizing it and making sure it’s a safe space for people. It needs some strong community managers with very sick skins. I’m going to make three comments around the theme of rights-based work – meaning accessibility and privacy – which this larger discussion is about. The first is to endorse a point my friend Mika has raised about conflicts of interest. For those who work on privacy, this is key. One hypothetical discussion we have had in the planning work for the cross-CMS privacy project is: what if someone like Google or Facebook offers to fund us? That question is equally applicable to any outside funding of privacy contributors. Put another way, I have bills to pay. What if one of those companies approached me and offered to make all of them disappear – as long as I introduced certain things into the core privacy work, or maybe shut up about others? It has long been a concern to me that the financial vulnerability of WordPress contributors makes them susceptible to negative outside interests on rights-based matters. How will the project handle a highly politically opinionated donor offering to fund the rights teams not to work, but to go away? Second, to pop your bubble, the Five for the Future/the WordPress Foundation discussion is a very large distraction from the real conversation. The issue is not what the sponsorship programme might look like or where it might live. The issue is why companies are not supporting rights-based work in the first place. I have been asking every major company and host in the WordPress ecosystem to fund 1.5 days of my time on privacy and tech policy issues since I got home from WCEU Vienna. I have been turned down by every one. I’ve now given up on the WordPress ecosystem and have moved into seeking support from the professional privacy sector. Despite that, precisely no one from the WordPress project or the Five for the Future plan has asked me what reasons ecosystem companies have given me for declining, or what they have said they would like to see in place in order for them to support the work in future. The plan is proceeding without any input from the people it is supposed to be about, and as the saying goes, nothing without us is for us. So who, then, is it meant to benefit? Third is an issue which has troubled me since well before SOTW, and that is the categorical lack of respect from the project leadership and influencers towards the rights-based work and the people who do it. Both the accessibility and privacy teams have been put through hell over the past year for no justifiable reason. Our contributions has been devalued, our efforts have been belittled, and our members have been personally attacked, trolled, and harassed. That is not going to be solved with gamification or badges. As I’ve written previously, there is a strongly held irrational belief in certain quarters – and certainly within the project – that privacy and accessibility are negative legal matters, that they are a form of government interference and a barrier to innovation, and that they mean responding only to the strict requirements of legislation at the last possible minute. We in the core-privacy team have worked hard to convey the message that privacy is about best-practice principles, user empowerment, and a respect for individual rights as fundamental values outside any legal requirement or obligation. That message, for many reasons, has not been heard, and it certainly has not been respected. The accessibility team were years ahead of us, getting the best practice principles of accessibility established as project values, and they still got it even worse than we did. One sentence of endorsement from the project leadership and influencers for those two teams, at any time over the past year, could have done the job of valuing the work of unsupported freelance contributors to potential supporters. Those words were not publicly spoken at any time. Is it any wonder no one wants to hire us? Contributors on rights-based work need support but it’s not going to come from a sketch of what a gamification page what might look like. It has to come from people. Fixing the hostile attitudes that have been allowed to run rampant in this project, so that the rights-based teams and contributors get the respect they deserve, will go a heck of a lot further to supporting their work than badges. But that is going to mean having difficult and uncomfortable conversations with people who are questioning everything they thought they knew and believed about the project right now. Is this project really ready to do that? Contributors on rights-based work need support but it’s not going to come from a sketch of what a gamification page what might look like. It has to come from people. 100% agree, Heather. Although we never met each other, you’re one of the group of people i’ve had in mind writing this (starting) idea. An extended WordPress user profile and job board is maybe part of the solution. But i would be happy too if Freelance top-contributors have more easily the opportunity to get funding for their time. Cause I find it really upsetting that top-contributors have to beg for income. They shouldn’t, they should be pro-actively be contacted. Certainly if someone is ringing the alarm bells, as you’ve done in the last years. And as you mentioned: it’s the mindset of companies and especially the WordPress Leadership team. I would like to ask everyone, as well as they mean, to stop referencing me as the person they have in mind when thinking about Five for the Future. Because, as I said above, it’s not being done with me, it’s not being done about me, and it’s certainly not being done in my interest. Not in my name. Sorry to upset you, my apologies. Remark noted. I’m just curious why details from private conversations are being shared publicly? I’d be very upset if I was the one having information shared in confidence put on display for the rest of the community to view. Not sure what you are referring to, but all those comments were public, as was the introduction of my name into the 5ftF dialogue without my consultation or consent. As it happens, in the past week a prominent member of the project has made a series of coercive threats to me as a condition for support for the privacy team, but they were made in a private conversation so I had best not upset them by sharing it. I like this idea. I am struggeling to monitize the skills and knowledge I use when I volunteer. Even though I often day dream about being able to cut back on the hours at work and do WordPress “stuff” instead, it is not something I personally and on my own, could easilly turn in to a buisness or freelance career. Not all of us are paid by the hour and loose money because we are volunteering instead of working. I am loosing money on volunteering for example if I want to volunteer at or attend a word camp. I personally dont have any income from WordPress work to cover any travel costs. Eventually after so many years of volunteering so many hours and working full time, it does become difficult to keep up with both. It’s not always money that we give up to be able to volunteer. What kind of contributions would this program incorporate? Doing forum support, developing core, making all kind of community deputy task, reviewing plugins and themes etc are all more-or-less behind the scenes work that keeps things running. That kind of work is clearly benefitting the community. But is organizing a meetup or WordCamp, writing a plugin or making a theme, contributing to the community and it’s greater good rather than making awesome things and learning something new? Where we draw the line, what kind of work this program would “recognize” as contributing? Should we even draw that line? I kinda like the idea, because everyone should be able to contribute to something they love. But it needs a lot of work and thought put to it, so we can have clear rules and bounds for avoiding any abusive relationships and conflicts of interests like Ipstenu said. I am wondering how to manage them and avoid that a company manage the direction of the project like is already happening. Looking in other OS foundation https://www.documentfoundation.org/ there is a rule that a company can have only 1 member as leader that promote changes. If this is a project for the 33% of the web or whatever we need to have a project management that decide what contributors have to do, right now this is unbalanced so we have changes that are made my interests of a specific company instead asking to the community interests/33% of the web. As core contributor in the past years I saw that the big problem is not that there are few volunteers but few people that review and approve your change instead leave in Trac for years. This is the same reason why I am more interested in contributing to GlotPress or WP-CLI because this time issue on getting news about what I did is more little and there is more discussion instead someone that choose for everyone. In my point of view like other OS foundation like TDF, Linux, etc have employes that lead the direction but not from a company. This is the real difference that let the project to be really free from any direction. We discussed this with @glueckpress and @miss_jwo in 2015 at a WordCamp in Berlin, I think. The problems remain the same. And the whole discussion is like so many discussions before. Yes, it is a good idea. People love it. But nothing will happen. Too complex and too many things to solve. In the end everything will be like before and most of the questions that are raised here (like conflict of interests) are perfectly true for every employer who is contributing to WP, too. But there is no one questioning the work of @sergeybiryukov and others and how they use their power to support the Yoast agenda for example (if there is one). No offense, I love his work! But why do we raise so many issues here, that are true for all the hosts, agencies, etc. too? After 15 years of cumulative WP.com/WP.org support for free I’m now done with it and will leave. There was no “Thank you” from the top of the project (and sometimes this way harder than the missing payment), but many walls if you have some ideas and needed support yourself. And my experiences as a GTE are not mentioned yet. This was even worse. Please prove me wrong, but after these many years of lacking recognition for my work there is no much patience left. There is (and likely continue to be) a strange attitude towards freelancers and small business owners. One that I periodically crash into… And that periodically makes me wonder if this is the right place for me (lately leaning towards no). Apparently (this is, in a nutshell, what I’ve been told in more or direct ways) it’s up to us. Or, if one should be more direct, it’s “our” problem. There apparently has been no issue in supporting developers that contribute to core. Any other aspect of contribution is… irrelevant. Or made to feel so. So, @davelo: thank you. Thank you for taking the time to write this, thank you for raising (once again) the issue. In my opinion, the Community is rapidly nearing a tipping point (or has reached it already). And, again, in my opinion, the Community needs to evolve to its new form, a form that will be better equipped at managing its size, the (huge) scope of the project, and the many corollary-to-development issues that the project already needs and will so more in the future. As is, the voices of – and the value provided by – freelancers or self-supporting-individuals (especially if they are not developers and they provide “collateral” work) are simply drowned or are heard (when screamed) at the cost of personal overextension, personal sacrifice, and personal risk. Often, as pointed out already, accompanied by a strange form of gratitude shaped like a kicking boot pointed at our (lower) back. Since it’s up to us, but our voices (and clout) is rather small, I’m calling out at the many larger businesses in this ecosystem. Yoast is doing many different things to support in various ways the larger Community. Step up, follow their lead. Since individuals seem not to matter, and since this project is vital for your businesses, step in, and show your support in more ways than handing out swag at Camps. We are indeed on a tipping point for our community. And the whole Gutenberg-drama just opened the box of pandora; also reffering to the upcoming Governance Project. I hope that creates a more independant patform that maybe can steere a program like this too. I also feel the reaction of: it’s “our problem’. But if they (Automattic & leadership team) really think about this; eventually it will become ‘their problem‘. As i’m predicting in the next years more and more votes against their unique Trademark benefits. So eventually, it will become everyone’s problem. But without the support of the biggest contributor (Automattic), i’m kind of afraid this program will have no steady management ground. And that’s the irony of the whole idea. There’s one partner that is a giant. To be honest: don’t know if that’s good or bad. But because that partner is a giant, it makes me struggle and staring in the dark for the future of WordPress. Yesterday someone said: ‘Imagine if Automattic goes to the Stock Market or be acquired”…. So yes, more companies have to follow the footsteps of Yoast. But Yoast is 99.5% WordPress, most companies are not. Those companies need to be guided towards ‘a program’ or -as suggested- a funding account. So far the debate here: i’m happy with all the extra ideas and suggestions. 🙂 You can reach out anytime, if I can be of any help – happy 2019! A someone who is facing this exactly and thus is currently in conversations with potential sponsors to fund my time, yes. 💯 Please make this a thing. A week ago i wrote this idea. The comments were mostly positive and recognizeable although the idea of doing this on wp.org is was questionable by the majority. To be honest right now, i think so to. But i really believe there has to be a connection between wp.org. In other terms: WordPress as a project must be a ‘supporter’ of this project. So, i’m happy with the first outcome and comments. There will be more conversations behind the screens, some freelance people contacted me for a chat; so there will be continuity for sure. The only thing that disturbs me is the lack of feedback of Community Leads and Community Managers. As far as i can count: only 1 Community Lead replied with minor feedback. As part of their (mostly) paid job i was expecting more empathy. I was not expecting approvals but just feedback. So, that’s a bummer. So, maybe there’s is coming some kind of platform. And maybe not. I convinced hardly nobody in our community recognizes these labels. I’m not a graphic designer (so need help here), but this AND a campaign around the promotion of this label needs to be worked out. Same idea as the Google ‘certified’ Badges… those companies are proud to show off their label. So i’m throwing this idea next week on Slack after some chats. PS: i’ve got comments too for my bad english. Sorry for that. But it’s not about sentences, it’s about the message. I see so much concern for others and passionate advocacy behind your words, @davelo, and it makes me really happy to count you a member of this team. I’m not sure that this proposal will prevent contributors overworking or over-committing themselves; though I agree it happens, and it saddens me too, I’m not sure the project is responsible for setting boundaries for contributors like that. It seems like that would interfere with a contributor’s right to make their own decisions about what they choose to take on or walk away from. That said, I really like the job board idea! I think it would be a cool way to facilitate people getting hired to contribute to the WordPress open source project, be it full-time or part-time. I agree with @davelo that it would be simplest to provide a place/way for would-be sponsors to find contributors they’d like to help support. A freelancer posts a project specification, they want to work on for a team (documentation for x section, 100 posts on the support forums, fix the gallery block for Gutenberg) and WordPress users/consultants/companies who want to sponsor can pledge their part of the funding of the project. I don’t necessarily think this needs to be a freelancer, it could be someone looking for full-time, permanent employment. I’m not sure I agree with @davelo‘s assertion that “If we do this program, we must raise the bar high enough.” If we’re simply providing a “matchmaker” space for contributors and sponsors to find each other, then the onus is on the sponsor to vet/research/interview the candidate. Focusing on a measurable outcome and/or impact will probably be the most effective way to help contributors market their “sponsor me” proposals. This will likely result in insufficient support for contributors who might be in a group that’s underrepresented in tech, but we might be able to counter-balance that. Many of my implementation thoughts/ideas run in the direction of @sippis, @ipstenu, Jan, and others — issues of conflict of interest, a need for clear expectations and resolution methods. But we have established patterns for most of these things in the community team and I think they could extend to this program. Who might be interested in working on this? What skills/qualifications/experience would contributors need to bring, to make this a reality? Is this an extension of Five for the Future, or its own thing? Indeed, this program will not stop a freelancer being overworked and overcommitted. But it’s also the unexpected issues in live and business which makes that freelance contributor more vulnarable then others. Thanks Andra for being positive about the program. As i’ve said in the my previous comment, i need to take a step back. You raised interesting questions, but before we continue those questions (cause it’s a hard topic and will take a lot of time) we need to make sure if companies are willing to pay. And i get the point of @ipstenu about issues of conflict, so direct paying between contributor and company could be tricky. I’ve been reached by a community member who’s working on the idea of a ‘funding pool’. Why do they contribute? Why not? Do those companies feel recognition from the community? Is it even important to get recognition? I will put all those questions in survey, and then ask for feedback in the Slack group. The returned data off the survey will be handy to work out a better way to create more awereness AND recognition for companies willing to contribute. And so a stronger foundation for this program. thanks for your time Andrea, is much appreciated… but do allow me to raise a question that I have already addressed in my previous comment. The solution proposed is for some people to invest once again more time in building something (a site?) that is far from easy and that atm lacks even the basic understanding of the technical needs/scope… but say someone decides to do it… now as a freelancer, I have to come up with an idea/proposal and post it and wait for someone to sponsor it? And I guess whenever I find someone to sponsor it I do what? Drop what I’m doing? finish what I’m doing and have my sponsor wait for me? And what if what is needed is urgent/important? Again, lumping any volunteer work together is a mistake: developing a plugin and developing a marketing strategy have not the same process and time requirements. So, first of all, it would be nice to see some due gratitude to all the volunteers that work outside of the code, as well as some recognition. That is at the base of any possible mutually beneficial relationship. WP powers 1/3 of the web today. To do that, it requires developers as well as designers, marketers, documenters, leaders, writers, and experts of many fields. Whatever effort in “upgrading” the system needs to start with recognition (and respect), with a good dose of listening, and a healthy curbing of our own entitlement in judging. I see a solution in the opposite approach (one that is and has been used for years for developers). It puts the burden of investing in what is needed on companies/agencies. They have the shoulders to dedicate time to defining tasks, and then can choose how important (=how much to invest) that task is for the health of the overall project. At that point, they can identify the people who could solve their problem and pay them to do so. It’s already being done, there’s no need for cumbersome new things to be built and it can be done transparently and openly both in the definition of the task as well as in the process of finding a solution, with a responsibility openly shared by a “powerplayer+freelancer(s)” team. 50% or more of the actual contributors to WordPress that i know are paid, this is already happening (just a very few are 100% volunteers). I am not fan of that but it helps to move projects. Not every one have the budget to be volunteer 7 days a week. But have this on .org as official statement is not so open or transparent. How you guarantee they work for the project and not for the company interest? at the end WordPress is about democratize and provide a voice on the internet for non tech users not for companies or profit ??? How you guarantee they work for the project and not for the company interest? How can you guarantee this now? Believe me, that’s is exceptional. Everyone else has another network. But if i have to set percentages for the people i know: that’s 10%. We can’t, not sure if is happening now. But have a job board or a freelance payment it will take that percentage of volunteers and make them work for a company. It has mention on the web before that the ratio of volunteer to paid work can serve as an indicator for the health of open source projects, Open source software development has long become an important commercial activity or a paid-for software development, is this what we want for WordPress? Thanks for the post @davelo and kicking off this discussion. It’s really interesting to read through the comments. I wanted to comment myself as I do have a perspective on this, being someone that was freelance for a long time and now works full time as a contributor. It’s great to see a focus on how ‘Five for the future’ can work for a wider audience. Any project set up needs to evolve and that’s a good thing. Practically I think we should, as a project, work on changes that enable contributions and make them more visible. For example, it’s ideal if teams have (I speak from design primarily) clearly outlined projects and areas that people can own and work on. This helps as more sponsoring happens, but in simplest form means a contributor can point to clear achievements. I see that there are a lot of interesting comments, but not really decisions or conclusions. I suggest @davelo to bring this up during the bimonthly chat, possible both sessions to gather more feedback and decide if and how to move forward.